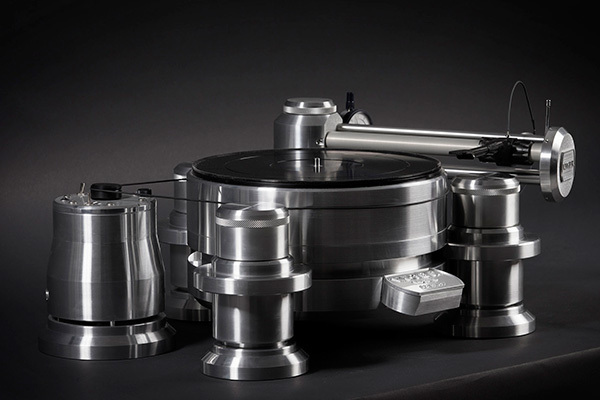 An extraordinary turntable in terms of its functioning and performance. V.Y.G.E.R. was founded in 1993 by Giuseppe Viola who already had extensive experience in precision machining complex parts, though his experiments with mechanical systems for analog playback had begun many years earlier. 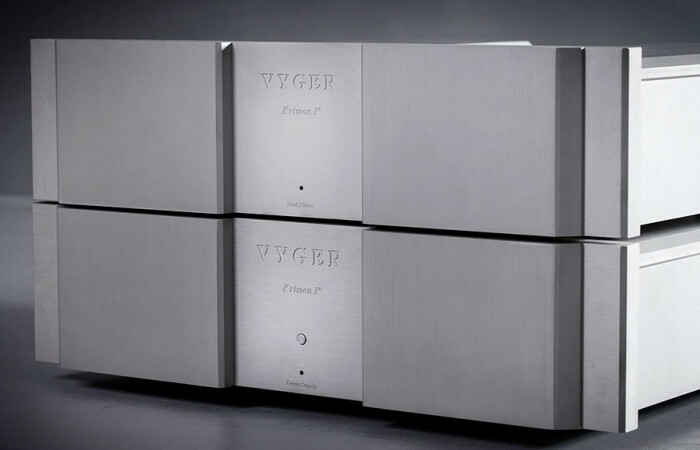 Since 2003, Enrico Datti began his collaboration with Vyger and together with Mr. Viola they acheive one of the best sounds of the CES show in Las Vegas. Mathematical and kinetic analysis of the turntable system oriented his research towards integral air bearing systems on both axes and led him to the conviction that only this type of bearing combined with high pressure air flow can guarantee superior performance within the parameters briefly summarised below. Complete absence of noise, caused in traditional systems by static or rolling friction of the spindle against the bearings, plus excellent rumble values – though the latter cannot be quantified using traditional devices like the Thorens rumble measuring coupler because it also functions by static friction (a steel spindle on a small teflon bearing). 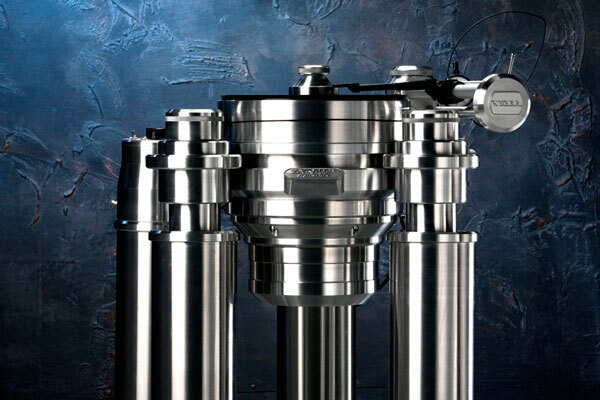 High rotational precision of the axis of the turntable spindle, because air from the pneumatic bearing compensates for any defect in the mechanical rotating parts, with standard tolerances fixed at less than 0.001mm for radial and axial rotation. This parameter significantly influences the sound quality of an analog system as a low rotational error keeps the stylus more precisely centred in the groove thereby improving playback quality. In addition, the integral air bearing provides efficient isolation from micro-sismic phenomena in the listening room, resulting in better playback dynamics for vinyl records. Greater precision of the rotational speed of the platter because friction between the metal of the spindle and the platter is limited to molecular kinetic friction of the air. The absence of abrasion between metal surfaces ensures that the mechanical performance of the system is constant over time since, unlike traditional systems, no structural deterioration can be caused by friction. 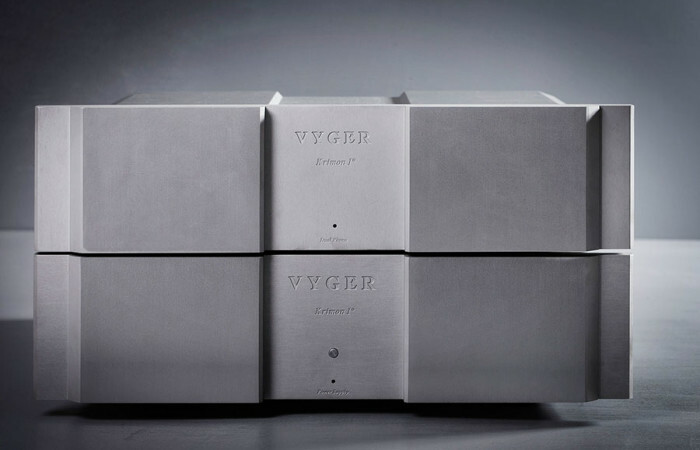 The Vyger is pleased to announce the beginning of the creation of electronics designed to fully satisfy the most demanding fans of hi-end. 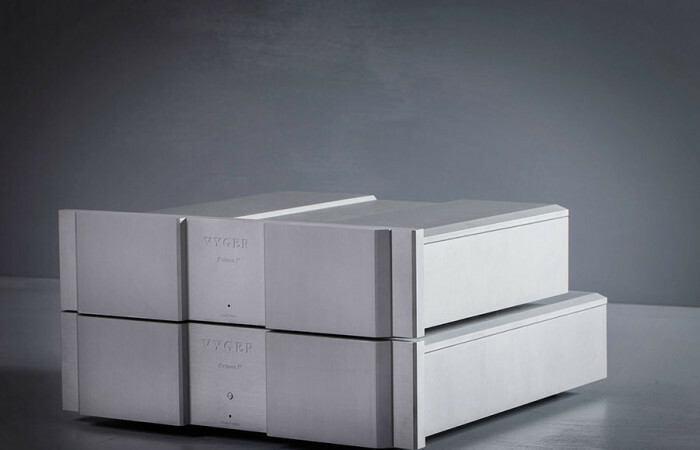 The new Krimon I Phono Stage is a solid-state phono stage that enhances the performance of Vyger’s turntables, famous throughout the world for their absolute performance that mark the state of the art for the listening experience. 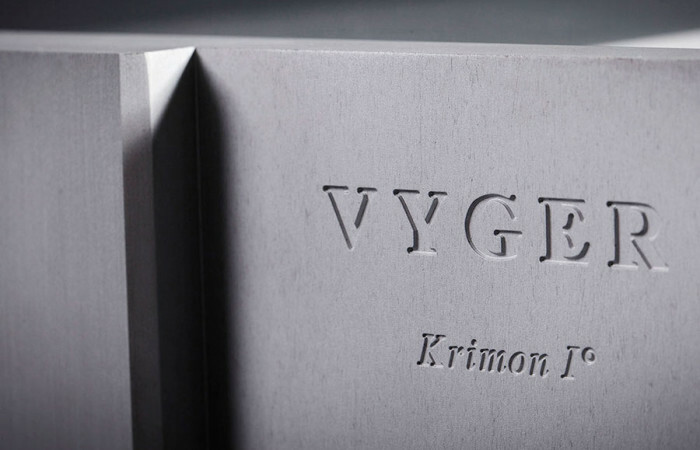 VYGER machines all its own parts using CNC machine tools. Made to create living sound of unique purity matched with powerful dynamics and extraordinary rendering of detail. 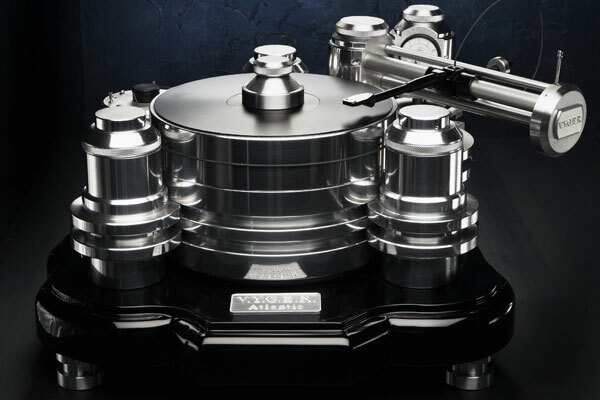 The ATLANTIS represents a real step forward in the history of turntable design. For the first time contact between the spindle and the bearing assembly has been completely eliminated. 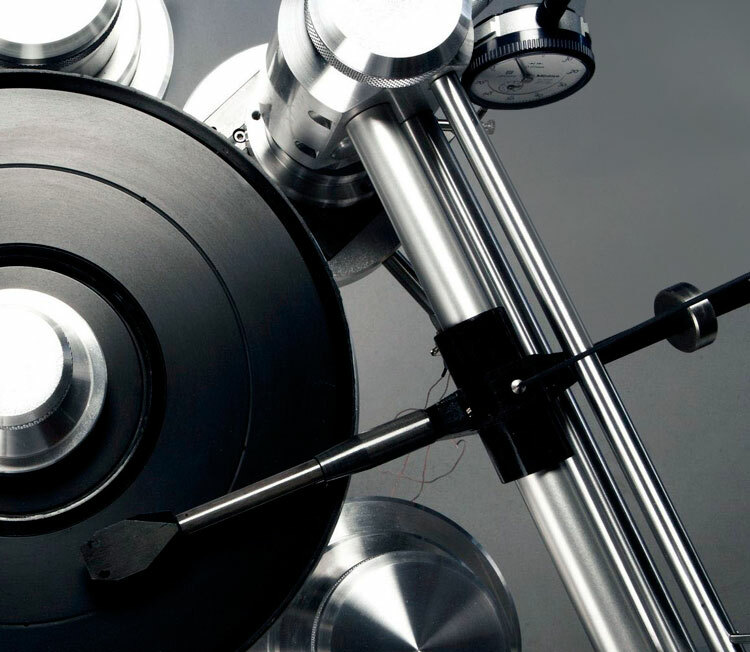 Listeners will find its powerful dynamics one of the characteristics that really set it apart from traditional spindle-bearing-thrust bearing turntables. We strictly collaborate with VYDA Laboratories. VYDA Cables like us turntables have been developed without compromise in order to achieve the highest possible performances.